Jackson, Mississippi – According to a report from KNOE News, a woman is dead following a two-vehicle collision on Mississippi 25. The crash happened just north of Louisville when a woman’s car got hit by another vehicle as she tried to drive across all four northbound lanes. Both drivers were taken to hospitals for treatment, and the woman died en route to the hospital. The Mississippi Highway Patrol investigated over a hundred and fifty motor vehicle accidents over the holiday weekend. Over fifty people got hurt as a result of the crashes, besides, to the fatality mentioned above. Additionally, over six thousand citations were issued for various offenses, and one hundred and nine people got arrested for DUI. 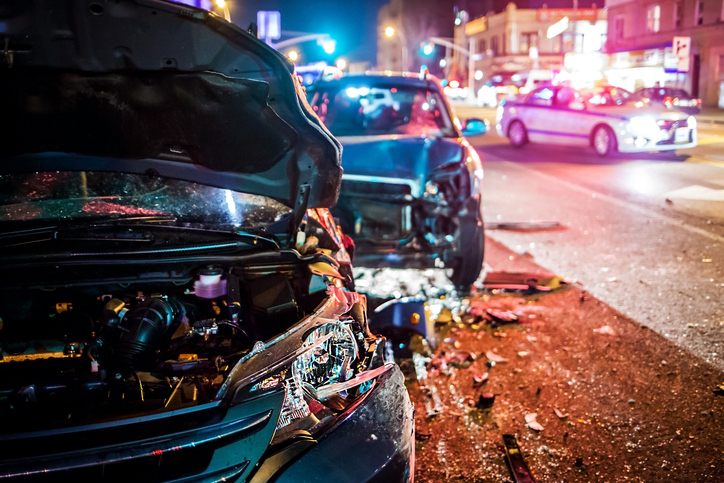 While no determination of fault was reported in connection with the accident described above, Mississippi drivers should be aware that if a loved one gets killed in a wreck, they may be able to recover financially for their loss. In Mississippi, family members may be able to pursue a wrongful death claim after a loved one dies in a car crash, even if the decedent was partially at fault for the accident. Wrongful death claims can be pursued by families even if the decedent does not die immediately after the wreck, as long as injuries sustained in the crash caused the death. If the other driver’s conduct can be proven to have fully or partially caused the decedent’s death, the other driver’s negligence may be a basis for awarding damages to surviving family members in a wrongful death case. The types of damages that families most often recover in wrongful death cases include expenses associated with the decedent’s medical care and burial, lost wages, and loss of companionship. Why Choose Giddens Law Firm, P.A.? Giddens Law Firm, P.A. has built an exceptional reputation throughout the state of Mississippi for relentless pre-trial preparation, case investigation, and use of the latest technologies, resulting in many significant jury awards and verdicts in all types of serious injury and wrongful death cases. Unlike many law firms that value volume and profit over client results, Giddens Law Firm, P.A. refuses to take more than a few serious personal injury, truck accident and wrongful death claims each year. This enables our fatal car wreck lawyers in Jackson, Mississippi to focus more time and resources on each case in order to yield the best possible result for our clients. If you were injured in an accident, Giddens Law Firm, P.A. wants to help you get answers today. Contact Giddens Law Firm, P.A. for a free consultation at (601) 355-2022.